This chopping board is not only a beautiful matching accessory to your wooden worktops, but will also protect your kitchen surfaces. A wooden chopping board will help avoid unnecessary damage to your worktop, keeping it in best condition for as long as possible. Our ash chopping boards are created from the same top quality timber as our ash worktops, and measure a useful 450mm long, 300mm wide and 40mm thick. They are sanded, oiled and given pencil edge profiling, meaning you can use them immediately. 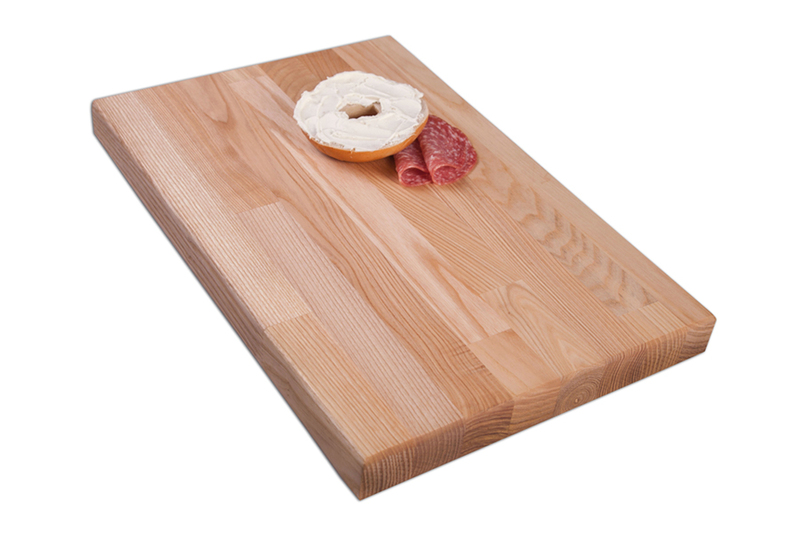 Free delivery is available on our range of chopping boards when purchased alongside any of our wooden worktops. Alternatively, this ash chopping board can be ordered separately and delivered for a small charge. Whatever your kitchen worktops are made from, this solid wood chopping board is a hygienic option for any home and the defined grain pattern shown in ash makes it a striking choice.